Are you looking to make a bolder statement? Do you feel like custom screen printing just doesn’t quite do it for you? We get it, and we’ve got you covered! Here at Monkey in a Dryer we understand that all of our customers are unique. Meaning we know that each of our customers and every order placed is just as unique as our name! To help you take your custom apparel to the next level we offer custom embroidery services. Embroidery is a simple, yet surprisingly effective means of conveying professionalism and class without breaking the bank. Yes, embroidery does cost a little more than screen printing, but the message portrayed is priceless. After all, you only get one chance at a first impression. Make sure that first impression is that of a polished professional. 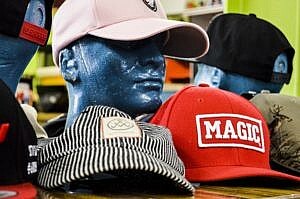 With embroidery, your logo will POP out at your customers…I mean literally pop out! What makes embroidery so distinctive is that of your image being raised above the fabric. 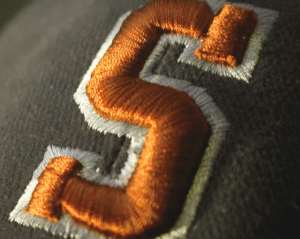 We create this tangible design by using up to eight different colors of thread to bring your logo to life. And for an even more detailed and life-like creation check out our 3-D embroidery option. Feel free to simply upload your predesigned logo directly to our website, or have a little fun with it. We have tons of possibilities with our online templates and design tools to let you explore and play with your creation. If you get stumped no problem, trust me as a monkey I get lacking in the art department! However, we have an entire art department full of talented, and computer savvy artist that are here to help you create a one of a kind design. Want more information? Contact us today about our custom embroidery services or any other questions you may have.